Low-priced gems, or what author Hilary Kramer calls 'breakout stocks' come in all kinds of shapes and sizes but they all have three things in common: (1) they are mostly under $10; (2) they are undervalued; and (3) they have specific catalysts in the near future that put them on the threshold of breaking out to much higher prices. In The Little Book of Big Profits from Small Stocks, small stock expert Hilary Kramer looks for stocks with fifty to two hundred percent upside potential! 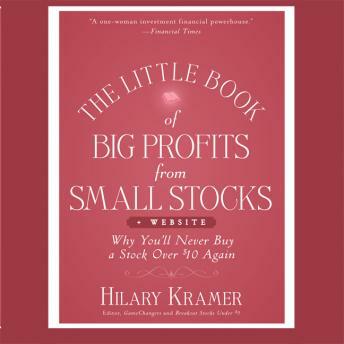 The Little Book of Big Profits from Small Stocks explains Kramer's methodology and gives you the ability to analyze the opportunities to pick your own winners.